Public key authentication is based on key pairs: a private key (usually in a file named id_rsa) that you only knows and a public key (usually in a file named id_rsa.pub) that is uploaded on any server you want to access. Moss helps you manage your public keys on all your servers. In the remainder of this article, we show you how to find or create your key pairs. 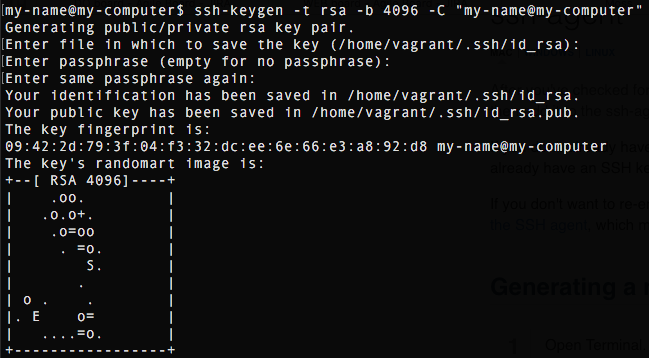 There's a high likelihood that you created an SSH key pair in the past and you just need to copy the content of the public key file into Moss. The name of such file can be user-provided, but typical examples for different public key algorithms include id_dsa.pub, id_ecdsa.pub, id_ed25519.pub, or id_rsa.pub. To check whether you already have such a key, follow the instructions below. 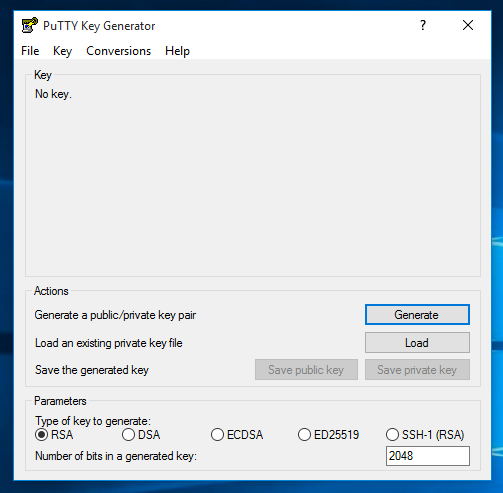 If you already have a public/private key pair in PPK format, you may use PuTTY Key Generator to open your .ppk file. 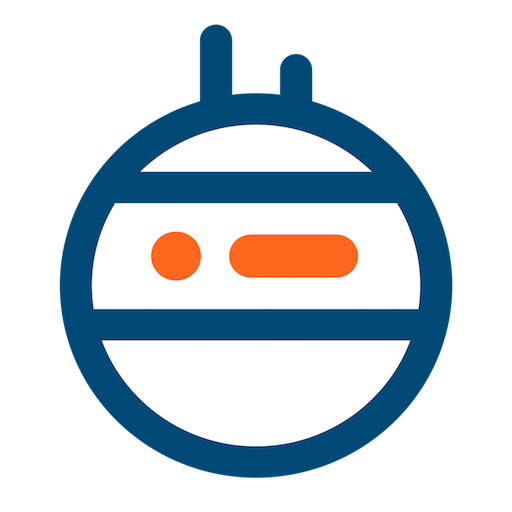 OpenSSH is the de-facto standard for SSH implementations, and the one employed by your Ubuntu servers. It uses a different key format than PuTTY, but fortunately the latter is able to convert keys between formats. PuTTY shows your public key in OpenSSH format - that's the key you must provide in Moss. You may also export your private key in OpenSSH format by clicking 'Conversions' -> 'Export OpenSSH key'. In case you don't have a key pair yet, you must create one in your computer. ssh-keygen -t rsa -b 4096 -C "<my-name>@<my-computer>"
Below you can see the output of such command. Leave the default file names (id_rsa and id_rsa.pub) unless you have a reason for not doing so. Also choose an appropriate passphrase to secure your key. Click 'Generate' to create a new public/private key pair. 3. The public SSH key is shown in OpenSSH format - that's the public key you must provide in Moss. 4. Save your public and private keys, and maybe export your private key to the OpenSSH format.